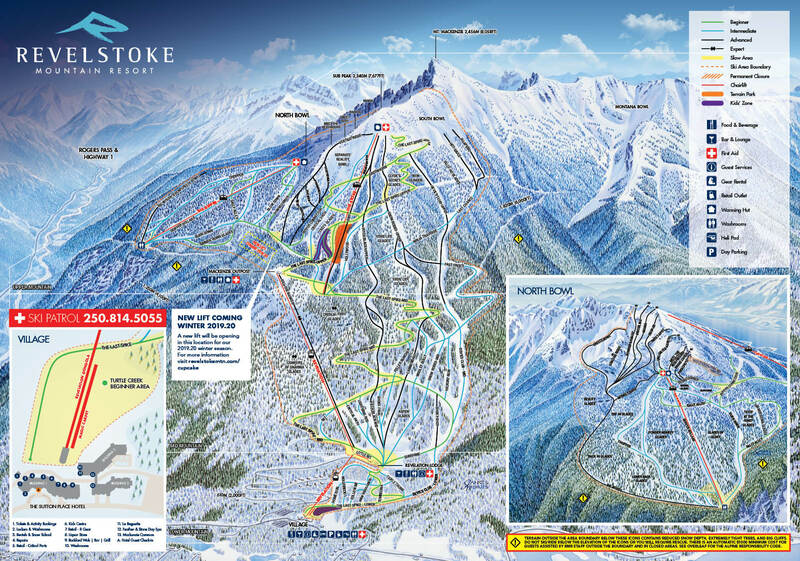 Revelstoke Mountain Resort has a diverse selection of premium facilities. Equipped to handle events of any size, the Resort is the ultimate high point for weddings, business meetings, conferences, team building events, and celebrations. Congratulations on your engagement! You’ve done the hard part - finding your soul mate! Let us make the next part easy as we work with you to create your dream wedding celebration. Whether you are looking for a summer mountain wedding among the wildflowers, or a cozy winter wedding filled with ski town charm, our venues provide the perfect mix of rustic mountain charm and modern detail to satisfy your needs. Say your 'I dos' on the sun drenched plaza at the base of the mountain before loading the gondola for an evening of celebration with a stunning view of the Monashees or opt for a low key and casual event at the Mackenzie Tavern Common. Located just 10 minutes from the TransCanada Hwy and downtown Revelstoke, Revelstoke Mountain Resort is the perfect location for your alpine 'I dos.' We are conveniently located between Calgary and Vancouver and are just 2.5 hours from Kelowna International Airport making it simple for your guests to join you for your special day. Our venues provide the perfect mix of rustic mountain charm and modern detail to satisfy your needs. The ultimate high point to host your wedding. Situated a short gondola ride up the mountain from the base of the resort, the lodge features breathtaking views of the towering Monashee Mountains and the majestic Columbia River below. The lodge's large naturally lit interior, with nearly 4,000 sq. ft. of open space means there is ample room for a variety of customized seating arrangements, and of course a dance floor. A rental of the lodge also includes the 2,400 sq. ft deck which can be used for your ceremony or an extension of your celebration space. The lodge can accommodate up to 350 guests. The modern interior is thoughtfully detailed with rustic mountain touches making the Mac Tavern the ideal spot for your casual event. Located right at the base of the mountain in the RMR village, the split-level space is perfect for hosting everything from cocktail receptions and bachelor or bachelorette parties to your intimate wedding celebration. The Mac can seat up to 110 people and is available for semi private and private bookings year round. A classy space for your wedding event. The stylish dining room can accommodates 120 guests inside, and 108 on the spectacular patio. The Rockford is the ideal spot for your rehearsal dinner or post-wedding brunch. It is also a classy space for a smaller wedding with the sophisticated modern interior beautifully juxtaposed against the impressive mountain views. Semi-private events are easily accommodated and a buy-out of the restaurant is negotiable. The plaza is a spacious outdoor venue with a striking backdrop of the Monashee Mountains that is perfect for a memorable wedding ceremony, a champagne reception with passed appetizers or a laid back BBQ. Located between the Rockford and the Mac Tavern, the plaza is a fully licensed venue with 2 large gas fire pits, and ample picnic seating. The layout is flexible and seating can be added or removed to satisfy your event vision. The Nelsen room is located in the stunning Sutton Place Hotel and is a top choice for receptions and rehearsal dinners. The modern space is just over 1000 sq. ft. space and is perfect for more intimate celebrations. The area allows for a variety of seating arrangements for up to 50 guests, and includes a gas fire place and lounge area. A full onsite catering and events team is available to assist you with all your catering and accommodation requirements. We have a number of specially designed catering options and packages. Our head Chef also welcomes the opportunity to create a special menu to enrich your specific event vision. Located right at the base of the mountain the luxurious Sutton Place Hotel is the perfect headquarters for prepping for your big day. Guests will be enamoured with the well-appointed rooms and the stunning views and amenities. Regardless of the time of year there are an abundance of activities for your guests to take part in. In the winter, Revelstoke Mountain Resort boasts the most vertical in North America making it a skier’s paradise, while in the summer guests can hop on a bike or lace up their hiking boots and explore the countless area trails and lakes. We have created great relationships with these vendors and highly recommend them. They know the property and have worked numerous private events at Revelstoke Mountain Resort. Vendors outside this list are always welcome. View select photos of our wedding packages and venues.